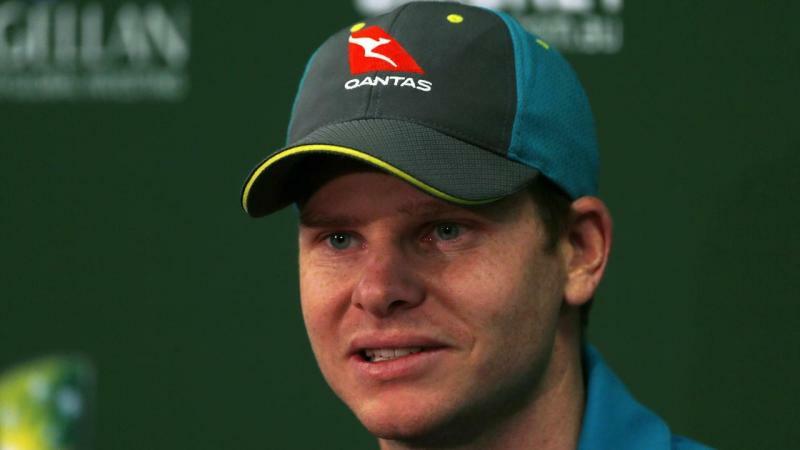 Steve Smith is en route home from Bangladesh with an elbow injury that has ignited no shortage of speculation as Cricket Australia sweat on the result of scans. CA insist rumours that the 29-year-old, who was playing in the Bangladesh Premier League, will be booked in for surgery, placing him at risk of missing the World Cup, are nonsense. Smith, due to land overnight, will soon have an MRI in Sydney. CA medicos are yet to assess the injury that forced the suspended superstar to cut short his BPL stint. Smith's franchise, the Comilla Victorians, are upbeat the gifted batsman will return later in the Twenty20 tournament. That suggest it may be a flare up of a previous elbow problem and minor but Australian specialists could potentially take a different view. Smith is currently serving a year-long ban for his role in the Cape Town cheating scandal. The sacked skipper, who is barred from playing internationals but also the Big Bash League, could mark his international return as early as March during an ODI series against Pakistan. Victorians coach Mohammad Salahuddin suggests Smith has been unable to bat the past two days due to his sore elbow. "He had an MRI test here but the result was not very clear," Salahuddin told AFP. Smith, who has been ruled out of Comilla's next two matches, has produced scores of 16 and zero in Bangladesh. His eligibility to play in the BPL was only confirmed in late December after officials initially barred him from competing over a draft technicality. David Warner, who like Smith is serving a 12-month ban, is also taking part in Bangladesh's domestic T20 competition. National coach Justin Langer, Test skipper Tim Paine and ODI captain Aaron Finch have all indicated in recent weeks that Smith and Warner will be welcomed back with open arms.